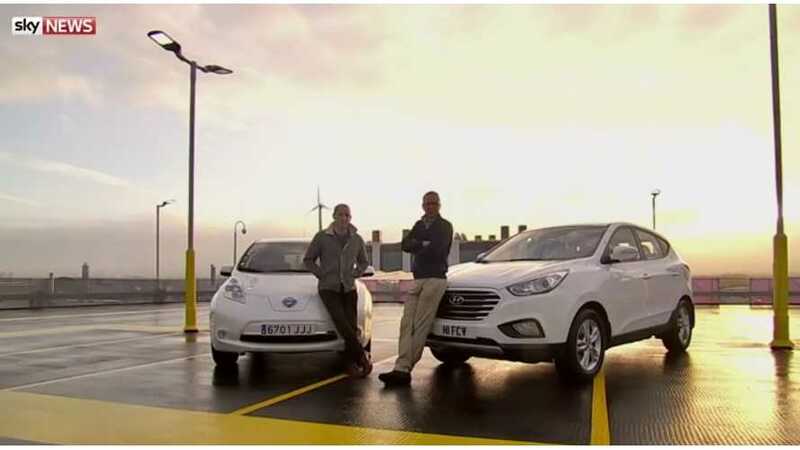 Sky News recently conducted an experiment by launching an electric/hydrogen race from London to the UN climate change conference in Paris. Two models were selected - Hyundai ix35 Fuel Cell and the best selling all-electric model, the Nissan LEAF. The 276-mile (444 km) route turns out to be within range of Hyundai ix35 Fuel Cell (60 miles worth of hydrogen left), which needed just the initial fill up at Heathrow. Failing that, there was no second chance for Hyundai, as there are no other hydrogen stations along the way. The Nissan LEAF, on the other hand, was scheduled to use CHAdeMO DC fast chargers several times for up to 30 minutes per stop. The great plan was then ruined by out of use DC chargers in northern France. The problem of not working CHAdeMOs was publicized long ago in these locationsand it seems this issue still hasn't been sorted out. Nissan LEAF was then eliminated by a lack of a reliable and widespread charging infrastructure. There are however two insights as to why we shouldn't draw far-reaching conclusions. The first is that a slightly longer route would make the ix35 Fuel Cell stranded as well, since the hydrogen infrastructure is clearly not ready. The second insight is that the comparison is not correct because the Hyundai ix35 Fuel Cell is a few times more expensive than Nissan LEAF. At the same price (£67,985 / $102,000) we could select a long-range electric model like the Tesla Model S (not even considering plug-in hybrids, which can do long journeys without a charging infrastructure). So, it seems electric was set up to fail in this unfair "race."